Modern dental implants are a great way to restore your smile. One of the main reasons why dental implants are so popular is because they form an extremely strong bond with your jawbone. In fact, with proper care, dental implants can last indefinitely. The fixture of the dental implant is the part which connects the implant to the jawbone. It’s made from titanium, a biocompatible material. That just means that, unlike most other materials, titanium can become fully integrated with the tissue in your jawbone. This remarkable process is known as osseointegration. 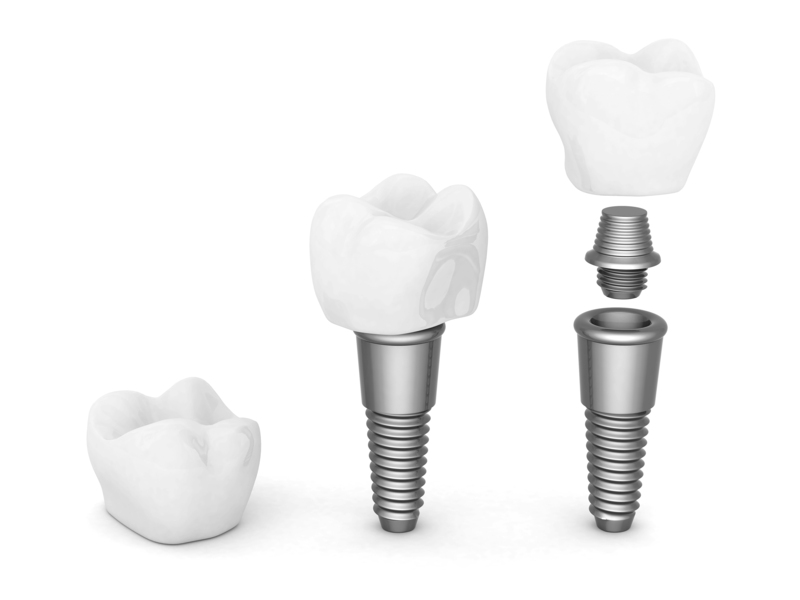 It took thousands of years for humanity to discover the benefits of modern titanium-based dental implant fixtures. And it involved a great deal of trial and error. Archeologists have discovered evidence that the ancient Chinese fashioned dental implants from bamboo pegs about 4000 years ago. The pegs were carved to tap directly into the bone. Although bamboo is not biocompatible with humans, scientists have discovered them in human remains, so they must have worked to some extent. The remains of an ancient Egyptian king were discovered to have a copper implant hammered into his upper jawbone, but scientists aren’t sure if this was done before or after he died. Some Egyptian mummies have also been found with dental implants made from ivory and some even had actual human teeth implanted in their jawbones. Archaeologists who excavated a tomb in France discovered the remains of a Celtic woman in her mid-twenties who was bedecked in bronze jewelry. This suggests that she was a member of the upper class. They also found an iron pin where her maxillary incisor would have been. Scientists speculate that this was part of a dental implant. Archaeologists in Honduras found the remains of a woman from the ancient Mayan Empire with a shell fragment pounded into her jawbone. Scientists date the remains to be from around the year 600 AD. Incredibly, evidence suggest that some osseointegration actually took place. During the twentieth century, several researchers and inventors from various parts of the world made a series of advancements that led to the development of modern dental implants. Perhaps the most notable of all these developments was a discovery made in 1952 by the Swedish researcher Dr. Per-Ingvar Brånemark. Here’s the incredible part: Dr. Brånemark found out about the biocompatible properties of titanium by accident. He was doing experiments on blood flow in rabbits when the titanium equipment he was using began to bond with the rabbits’ bones. In 1965 Dr. Brånemark used titanium fixtures to place dental implants which lasted for over 40 years. Dental implants have come a long way since the ancient Chinese shoved bamboo pegs into people’s skulls. Today’s dental implants are a healthy and convenient way to restore your smile. Contact Dr. Grubb at Family and Reconstructive Dentistry in Havre de Grace to learn more.